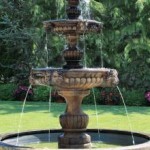 The unique quality craftsmanship of Massarelli’s Tiered Water Fountains can make any garden, Landscaping, home or business even more beautiful. 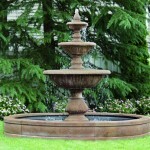 Our concrete extra large outdoor with pool Tiered Fountains are made of the highest quality materials to give you years of enjoyment. 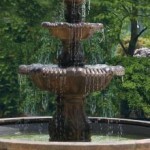 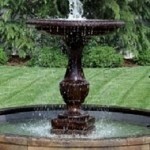 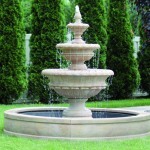 Each fountain piece is hand finished from your choice of a variety of stone and base finishes, and Rococo stains.